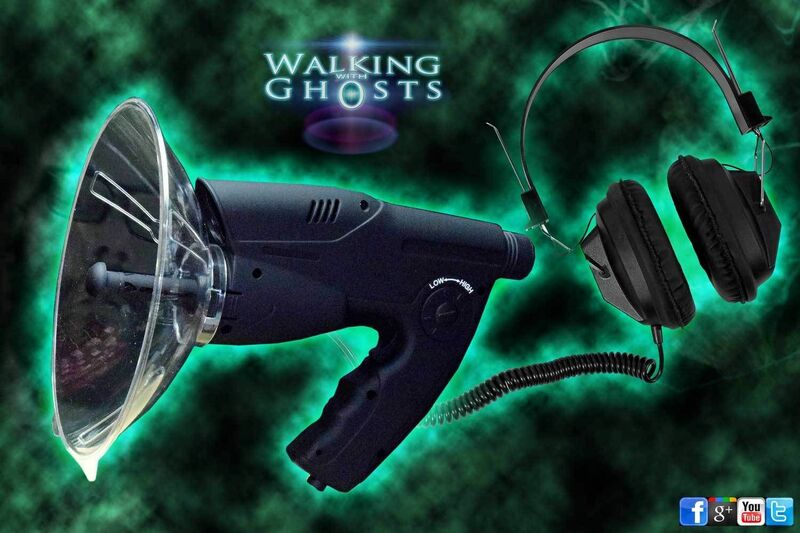 The Parabolic Microphone or (bionic ear)as it is often called is anther existing piece of equipment that has been adopted by the paranormal investigator to try and capture audible evidence or hear EVP (electronic voice phenomena) Originally used for covert spy recording or as a bird watchers tool it basically zooms in and enhances sounds from a distance of up to 100m using a parabolic dish to concentrate the microphone range to a narrow spotlight like area. Simply amplifying the sounds around you allowing you to hear things that would otherwise go unnoticed. 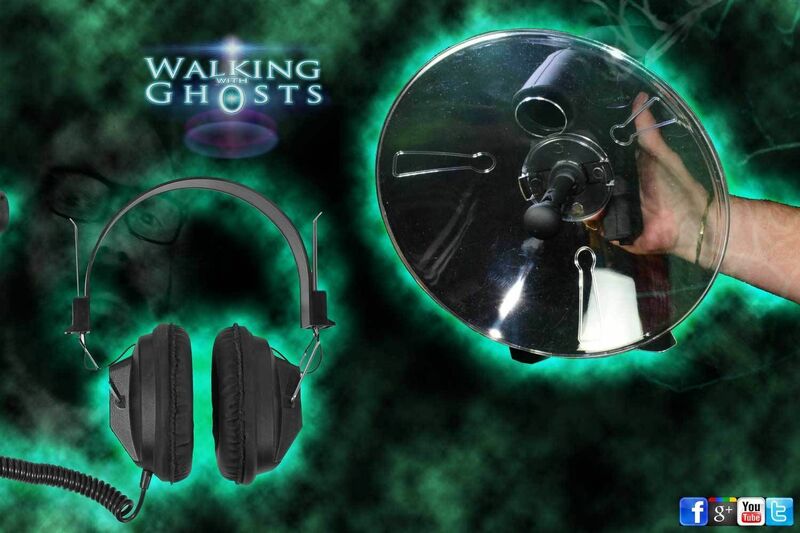 The device comes with a set of over ear headphones which are surprisingly good audio quality for the price point. 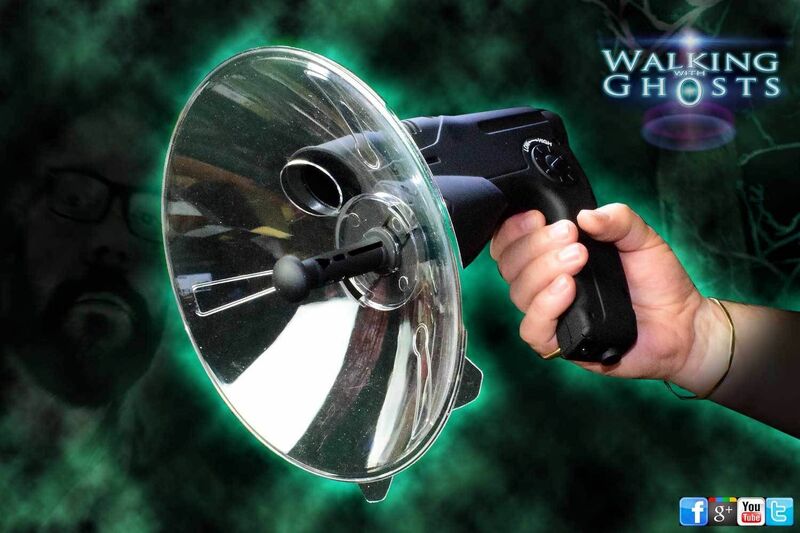 It can also be hooked up to a Digital Recorder (not included) using the headphone out socket.The device comes with a volume (intensity) control and is trigger operated from the handle, as this device was created for using for other purposes so it also includes an 8x monocular viewer which is sometimes handy but not much use in the dark. It also has a built in audio sample recorder but as it only records a few seconds of audio so we would suggest you forget this feature and record to your own audio device if required. You can use a headphone splitter (not included) to allow both headphones and recorder at the same time if needed. What is an EVP ? 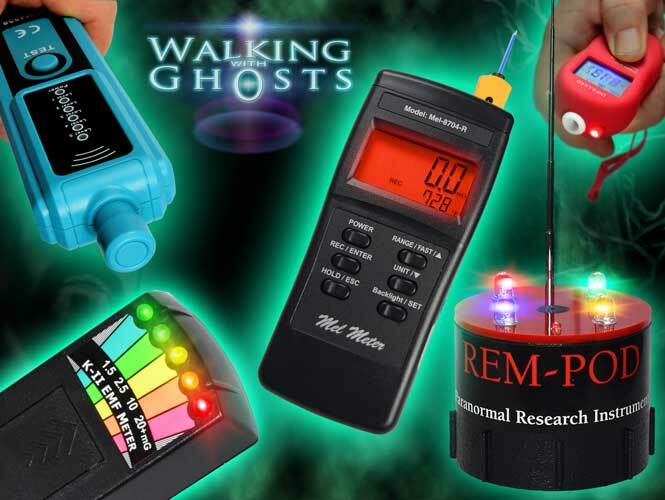 EVP (electronic voice phenomena) sounds, are essentially human-sounding voices but can be animal or any noise that are heard on a recording or in radio station noise and other electronic media.It is thought that these sounds or voices usually occur at a frequency out with the range of the human ear but can be captured on electronic devices. 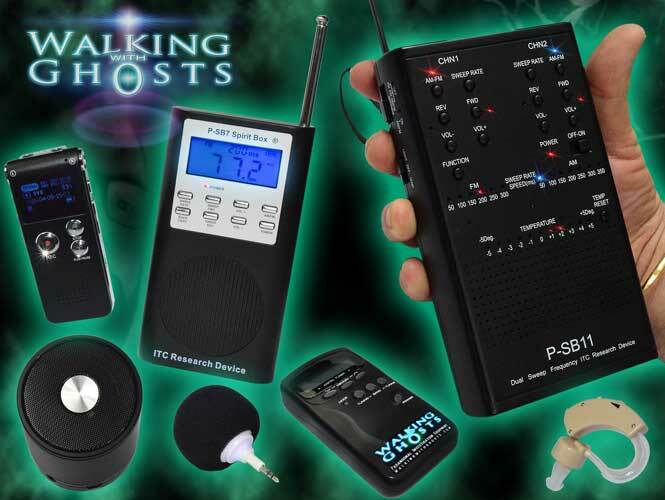 Some even believe that spirits can interact directly with the electrical fields imprinting messages directly through the device without making any outward earthly sound at all. Please note for your comfort and safety it is best used in a fairly quiet investigation area, these really do amplify all sounds to a large degree so any sudden screams from your Co investigators could leave you with ringing ears and a pounding heart from the fright, you have been warned! Neither Walking with ghosts and funky lighting are associated with, or promote any form of religion or organised faith structure. We are simply open minded people who have a passion in exploring unusual and unexplained phenomenon,as well as social history, mythology and folk-law from every corner of the globe.